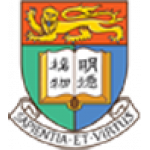 The Azalea (1972) Endowment Fund was set up by alumni Mr Lawrence Fung Siu-por and Mrs Alexandra Fung Lee Suk-wai who graduated from the Faculty of Social Sciences at HKU in 1972. 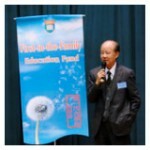 One of the HKU projects that the Azalea Fund supports is the “First-in-the-Family Education Fund”. “It was only a modest gift and the least we could do for our alma mater. It will be nice if everyone could give back to their schools where they were educated, and benefit their home of Hong Kong,” said Mr Fung. 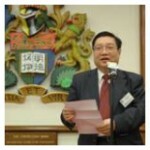 Chuk-fai was one of the early beneficiaries of the Hong Kong Government’s Tertiary Student Finance Scheme, which provides financial assistance for university students in Hong Kong. He was grateful to those who supported him in the past and wanted to give back to society. 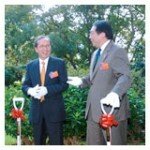 “I hope you are able to prosper and blossom here at HKU and receive the best education. One day, I hope you will give back to society. 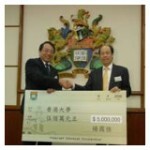 To celebrate the 25th anniversary of its graduation, the HKU Class of 1983 made a collective effort to raise funds for a meaningful cause - the “First-in-the-Family Education Fund”. Many members of the Class were the first generation in their families admitted to the University and therefore they recognised the value of the Fund. 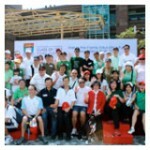 A walkathon was held in September 2008 which was followed by a reunion dinner in October. 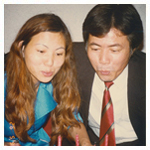 In loving memory of Mr Choi Kim-Kwong (1951 - 2012), his daughter Ms Athena Choi and older brother Mr Choi Kim-Lui (BSocSc 1972) made a gift to the University in 2015 to establish the Choi Kim Kwong Service Learning Fund for students who are first generation in their families to attend university. 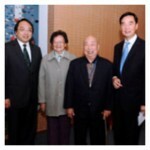 Mr Choi Kim-Kwong was a self-made entrepreneur who built a successful logistics business. Deprived of educational opportunities when he was young, he had a strong belief in the importance of education and in the nurturing of future generations. It is hoped that the Fund will enable students at the Medical Faculty to participate in outside-classroom voluntary service or service learning projects, thus inculcate the spirit of service among young people.